For the first time in the history of California the Governor has introduced mandatory water restrictions. Jerry Brown ordered to communities and farmers to reduce consumption by 25%. The reason – severe drought continuing for the fourth consecutive year. The concrete measures that state authorities and local agencies will bring are going to be announced in the coming hours. They will affect consumers, farmers and businesses in the most populous state in U.S. The governor explained that the state of California registered the driest year in history and in next nine months until the end of the year will try to save million tons of water. About 4.6 million square feet of land, that are now lawns requiring irrigation, will be replaced with drought-tolerant plants. By his order about 4.6 million square feet of land, that are now lawns requiring irrigation, will be replaced with drought-tolerant plants. There will be a special program for the people living in the state to help them with the replacement in their personal gardens. In many places there are local rules defining exactly how the surrounding area around homes and office buildings should look like. Farmers will take additional damage after three years exposure to a less and in the same time more expensive irrigation water. Last week, Brown signed a law granting over 1 billion dollars for the construction of modern water infrastructure to help the most troubled communities. There is a ban which forbids lawns watering for 48 hours after rain. In addition to that the restaurants were ordered not to serve water to customers unless specifically ordered. Spring weather in California increasingly resembles a summer. The record heatwave that is hitting the state fourth year in a row, is defined as the “the worst drought in millennia“. Experts say that the current hottest spring days are just part of a long-term warming trend that is caused by human activity. This trend increases the likelihood of new droughts, which will be at least as bad as the current one. The reason is the combination of warm and dry weather, which dries the soil, melts the snow quickly, and depletes water reserves. 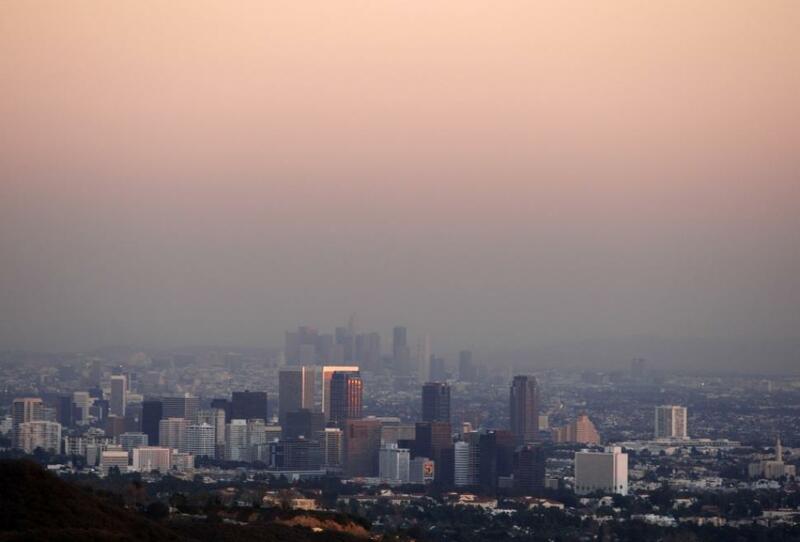 In California there are strict environmental regulations that significantly improve the air quality. So strict that in the recent years there wasn’t a single smog warning issued by the state control authorities. Since then, the long period of drought and the high temperatures are the reason for the series of winter days with high air contamination, and the summer days with high levels of smog. California relies on the series of winter storms to accumulate snow in the mountains. 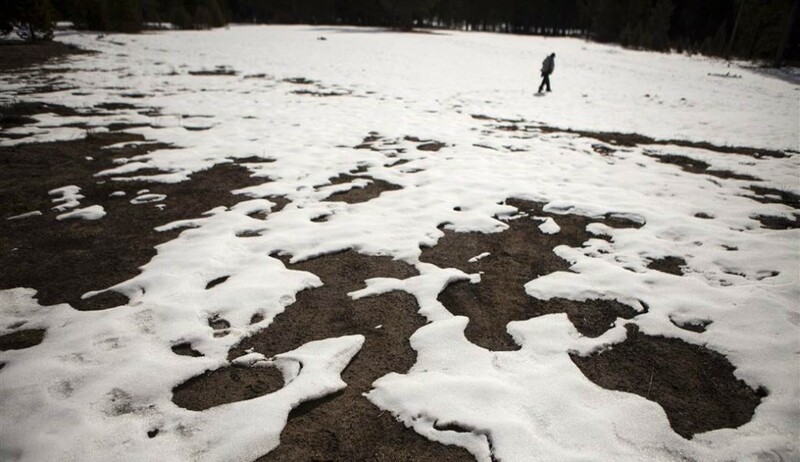 In spring when the snow begins to melt, acts as a natural reservoir. The extremely warm weather in recent years is the reason the state authorities to measure a lot more rain than snow. The effect is significantly less amount accumulated snow, ready to melt from state mountains. The water from the melted snow pack is the equivalent to one-third of California’s water supply. Amount of snow that fell in the mountains last year is 12% of year’s average. For example it was 28% the year before. 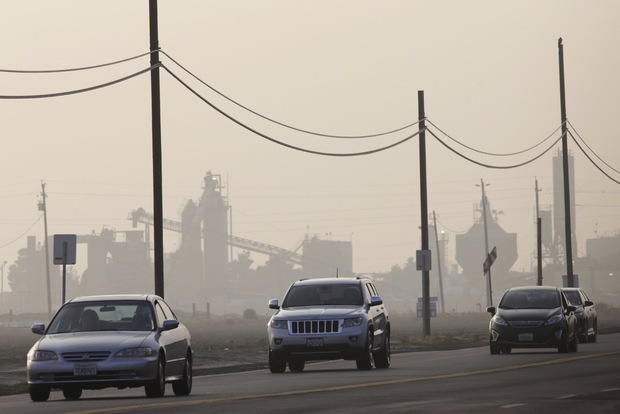 The prognosis for 2015 is to be the worst in California’s history. 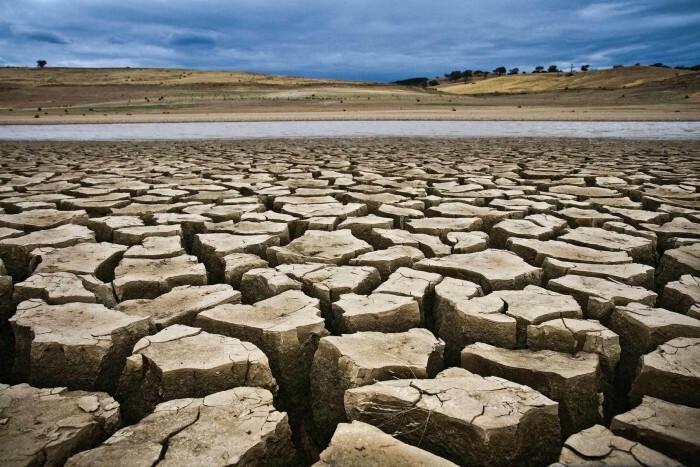 According to the latest report on the drought in the US, moderate rainfall, combined with extremely high temperatures, is the cause of drought in California. The consequences are devastating – the rapidly depleting water tanks, disappearing groundwater, dying crops and herds, and forest fires.